This charming string trio is an ideal piece to have on hand for when either the viola player or cellist is late for, or has forgotten about, an evening of quartets, as the viola and cello parts are interchangeable. 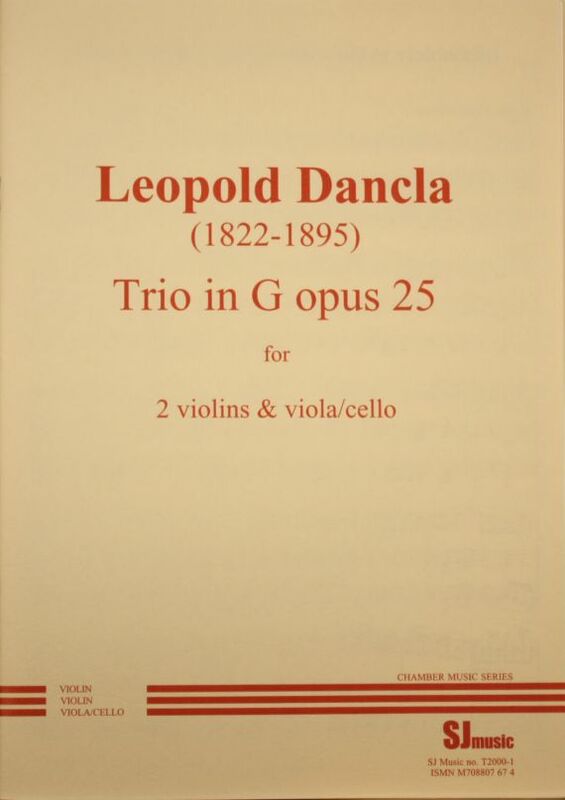 Another Dancla trio, opus 49, (SJ Music product code T2012-1), also with interchangeable viola and cello parts, is available from SJ Music. Leopold Dancla was born in Bagnères de Bigorre in 1822 and died there in 1895. He was a violinist, cornettist and prolific composer of chamber and sacred vocal music.